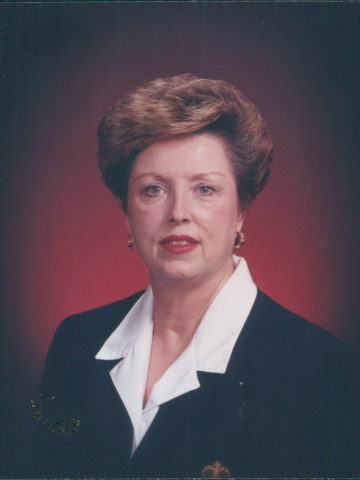 Mrs. Peggy Ann Phillips of Nashville, TN passed away on August 22, 2018 at the age of 80, at Alive Hospice in Nashville. She was born in Nashville on June 20, 1938 to the late Gene R Proctor and Ruth Kimbro Proctor. Along with her parents, Peggy is preceded in death by her husband of 49 years, Don A. Phillips and her sister Sherry Lynn Proctor. She is survived by her son, Timothy G. Phillips; one brother, Robert Proctor(Debbie); one sister, Bonnie Proctor; and one sister-in-law, Deborah Sisco(Steve). Peggy is also survived by five nieces and five nephews; nine great nephews and ten great nieces; and one great-great nephew and two great-great nieces. She was a member of the Bellevue Baptist Church. Peggy was employed by Tennessee Orthopaedic Alliance for 25 years. A Celebration of Life will be held on Saturday, August 25, 2018 in the chapel of West Harpeth Funeral Home at 12:30pm. Visitation will be held Friday, August 24, from 4:00pm – 8:00pm and again on Saturday from 11:30am until the time of service. Entombment will be held at Harpeth Hills Memory Gardens. In Lieu of flowers the family asks that donations be made to the American Cancer Society or Gideons International. Online condolences can be left at www.westharpethfh.com. Although I did not know the family well, I did grow up on Capri Court and knew of the Philips family. It is my hope that your sadness will soon turn into the most wonderful memories. God is with us in our grief. We are looking forward to that glorious day, that wonderful Resurrection Day! We are so sad to hear of the passing of one of our Cookie monsters, Mrs.Peggy you will be truly missed by Your Bar-B-Cutie family. We will be praying for the Family. Heaven has gained a precious angel! I always enjoy hearing great family stories about Ms.Peggy. Praying for the family today and apologize that I’m not able to be there. May God lift your spirits and provide comfort and peace to you all.